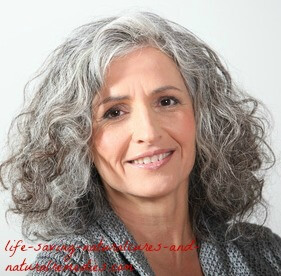 To get rid of grey hair quickly and for good you need a combination of internal and external treatments. Internal treatments are the most important, simply because if you do have gray hair then you actually have more sinister and life threatening things going on inside of you! A good case in point is Albert Einstein. If you ever saw pictures of him in his later years you would instantly recognize his bright silver grey hair. Einstein died of a ruptured aneurism! So your first course of action for successfully treating and reversing gray hair is to start taking a good liquid colloidal mineral supplement (such as these﻿). Colloidal minerals contain ALL the minerals your body needs in a highly absorbable form, along with many other essential nutrients. Because copper is needed for hair pigmentation, you may need to take extra colloidal copper as well until your grey hair recedes. Colloidal copper also makes an excellent topical treatment for grey hair too. 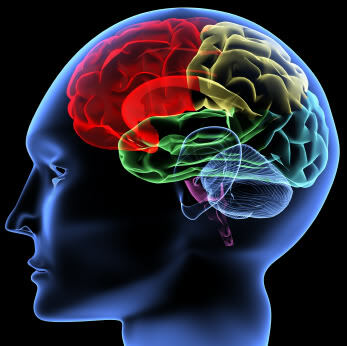 Simply soak a couple of cotton balls in colloidal copper, apply to the scalp and massage/rub in. 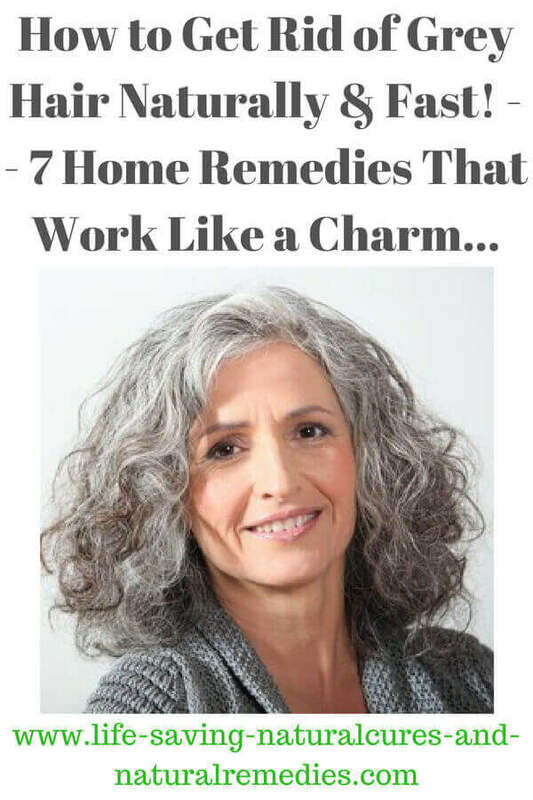 Be sure to also supplement with two tablespoons of organic unsulfured black strap molasses each day as this food is rich in essential vitamins and minerals (many people swear by this supplement for reversing grey hair), along with the very powerful Fo-ti herb, which actually translates to "black-haired Mr. He" (black haired man) in Chinese. This astonishing herb has been reported to reverse grey hair very quickly for many people (you can read some testimonials here). With Fo-ti, you can either take it in supplement form, buy it as a packaged tea, or buy the root and make your own tea everyday. In addition to these, cereal grasses such as barley and wheat grass are a great source of vitamin A and B group vitamins, along with copper, iron, silica and zinc and should definitely be supplemented with every day. Healthy Himalayan pink rock salt (crystal salt) is also extremely high in essential "anti-grey" minerals, particularly copper, so make sure you buy some pink salt (it's dirt cheap) and use it to salt your food to taste rather than commercial table salt (which is bad for you anyway). And finally, remember this important point about reversing your grey hair... if the bad stuff’s going away on the outside, it’s going away on the inside as well!! 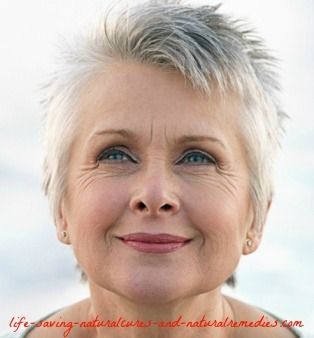 As your gray hair or white hair recedes, you'll find your natural colour grows from the roots outward. This can make your hair look a bit strange at first, but stick with it and eventually your hair will return back to its original colour. The most important thing is to not worry about what other people think. I remember quite a few years ago working with a guy who was very paranoid about his greying hair. I suggested he start taking a liquid colloidal mineral supplement and cereal grass, which he did. As his hair colour began to return to normal the people he worked with started to make fun of his hair, calling him “Mr Grecian 2000”. The sad part is he actually listened to them and stopped taking the supplements. (All of a sudden he decided he looked better with gray hair). I tried to tell him that by reversing his grey hair he was also reversing the damage that was going on inside his body, but unfortunately, he didn't listen. I often wonder how healthy he is today or if he's even still alive. Onion juice is rich in the enzyme catalase and has been used for centuries as a topical treatment and remedy for grey hair. In fact, herbalists have been advising their patients to rub onions on their scalps to reverse grey hair long before any hair dyes were ever invented! Back in 2009, Bradford University in the UK discovered that a build up of hydrogen peroxide in the hair follicles and scalp caused thinning and grey hair. They also discovered that the catalase enzyme neutralizes hydrogen peroxide and reverses grey hair. So rubbing onions and onion juice mixed with lemon juice on your scalp everyday is a powerful reversal treatment for grey hair (the only down side is of course the smell). Wheat grass and barley grass are also rich in catalase, so mix up a paste and rub this onto your scalp everyday as well. In addition to this, you can now buy catalase in supplemental form to take orally for extra benefit. And if you find you really can't stand the smell of the onion juice, you can always open or crush one or two catalase capsules and apply these directly to your scalp instead (mixed with a slight amount of water). Here's what these supplements look like if you're interested... Catalase for Grey Hair. You actually drink the gooseberry juice every day, along with mixing up a combination of dried gooseberries and coconut or almond oil, which you then rub and massage into your scalp every night. The best type of gooseberry if you can find it is the Indian gooseberry known as “amla”. This hair tonic is known to help promote darker pigmentation (turn grey hair to black) due to its high level of B group vitamins and is best combined with coconut oil for a more potent mix. Throw a handful of curry leaves into an average size pot of boiling water. Add 1 to 2 tablespoons of coconut oil and boil for 6 to 8 minutes, or until the leaves turn black. Remove and leave to cool for 20 minutes before straining the oil into a container. Massage your scalp and hair with the oil 4 to 5 times a week, preferably before bedtime. Leave on overnight and wash off in the morning. Mix up some castor oil and lemon juice until it goes frothy then add some henna. Apply the mixture to your hair and scalp and leave it on for at least an hour before washing and shampooing your hair. Repeat every day. Take half a cup of rosemary and half a cup of sage and boil in water for 30 minutes. Allow to cool for 2–3 hours then apply to your hair and scalp. Leave on until it dries then shampoo off with a natural shampoo. Repeat every week and eventually all grey/silver hairs will be gone. Amaranth is a nutrient packed vegetable that looks similar to spinach. It works a treat on reversing grey hair by restoring the hairs natural color. Simply apply the juice from some fresh amaranth leaves onto your scalp and gently massage in. Leave on for 30 minutes before washing off. Black seed oil and olive oil have both been used for thousands of years to treat and reverse gray hair. The other big benefit of using black seed and olive oil is they make your hair look shiny and healthy and also promote the growth of new hair follicles. Simply mix up an equal amount of olive oil and black seed oil and massage into the scalp. Wash out with warm water after an hour. Repeat daily. 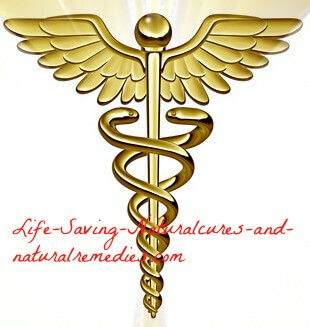 You can also take black seed oil internally for extra benefit. A teaspoon twice a day will do the trick. This last tip for reversing grey/white hair is very important. Make sure you stay away from all chemical shampoos and commercial hair dyes. These nasty products not only damage your hair and scalp, they can literally kill you with their toxic poisons! So only ever use completely natural shampoos and conditioners from this point on (you need to get good at reading labels). Also avoid all processed foods and coffee as these leach valuable nutrients such as copper, iron and zinc from the body. Instead, substitute coffee for healthy Matcha green tea (it’s no coincidence that you rarely see a Japanese person under the age of 60 with grey hair and they also happen to be the biggest consumers of green tea in the world). In addition, be sure to eat plenty of organic fruits, vegetables and herbs such as garlic, ginger and turmeric. And finally, avoid smoking and stress. Not only are these two of the biggest killers in the world today, they actually contribute to grey hair more than anything else! Sources and references for this article include: Wallach, Joel, Dr., Dead Doctors Don’t Lie, informational cassette tape, 1995, tandurust.com/natural-home-remedies, cure-for.info/grey-hair/, altmedicine.about.com, lifestyle.iloveindia.com, seasonsindia.com, home-remedies-for-you.com, therootofthematter.net, health24.com, Sawyer, Troy, How to Increase Your Energy, Cure Poor Health and Enjoy Living Longer!